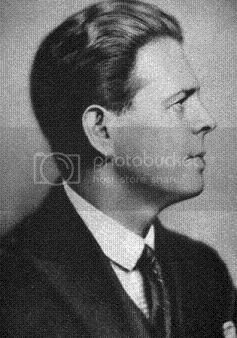 Ryszard Ordynski was a Polish theater producer in the United States. According to historian William J. Mann, in his book "Behind the Screen", he had a long term relationship with George James Hopkins. BERLNI, Jan 11, (via London) - Richard Odynski, Max Reinhardt's young lieutenant in the management of the Deutchess Theatre in Berlin, will arrive in New York this week on board the liner Rotterdam. He intends to spend an indefinite period in the United States, introducing the methods of production which have bad Reinhardt famous. Ordynski, who is a Pole, put on "Sumurun" and "The Miracle" for Reinhardt in London, Paris, and Vienna, and took the "Sumurun" company to America in 1912. He said in an interview: "My purpose in settling down in America for a while is to play a part in the development of the coming American drama. A young, fresh country like the United States ought to create its own particular drama." Herr Reinhardt looks upon Odynski as extremely talented, and is quite willing that the Deutsches Theatre standard shall be judged by his work. Slings Hellen wife married 22 . . Washington DC None . Jennings Estella Head divorced 57 . . Maryland None . Mellin? Archie R. lodger married 63 . . Virginia None . (Richard canceled this sailing, and went aboard Mauritania instead - two days later). Description: 5'7" fair, blond hair, blue eyes. Description: 5'6", fair, blond hair, brown eyes.